Heading into next week’s primary elections, two heated campaigns in northern New Mexico have voters wondering where the line between mudslinging and slander is, as well as trying to make sense of allegations of sexual harassment and financial mismanagement. Lost amid the charged back-and-forth among candidates is how the incumbents in those races and others are beating challengers in the money game. 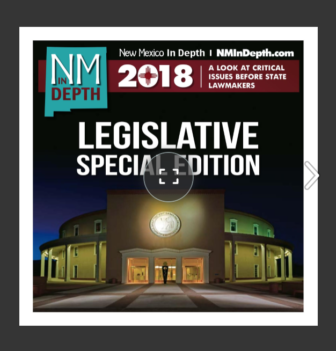 New Mexico In Depth zeroed in on state representative races to see how newcomers challenging incumbents stacked up in the hunt for campaign cash from special interests. Conclusion: not so great. Incumbents in contested House races have raised almost $1.2 million to date compared to $340,000 by their challengers, as a group. These figures include funds raised since the beginning of the 2018 election period in late 2016. In other words, incumbents have raised more than three times their challengers, on average. Incumbents almost always raise more money than newcomers, and there’s a perception by some, in light of this, that public officials are being bought off. But political science literature cites greater fundraising as an advantage of incumbency as special interest groups seek political access to elected officials. In their work studying the financing of campaigns focused on state legislatures, political scientists Andrew Hall and Alexander Fouirnaies show that incumbents are highly successful at scooping up campaign contributions compared to their challengers, and point to special interest groups seeking access to the political system rather than contributing from ideological conviction. 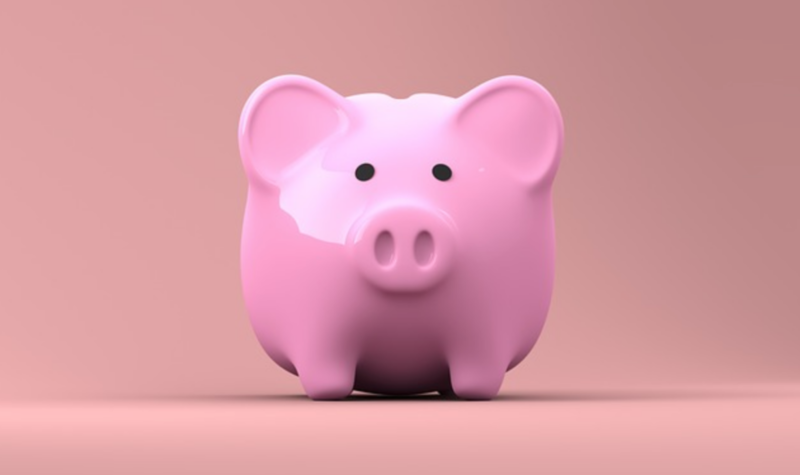 “(S)trategic interest groups direct money to incumbents in exchange for access (and not for some of the other reasons often put forward), and we show that access-oriented interest group donors account for approximately two-thirds of the overall causal financial incumbency advantage,” they write in their 2014 article. According to Hall and Fouirnaies, incumbents’ financial advantage is an important factor behind high rates of reelection. New Mexico candidates with the most money in 2015-2016 had a 93 percent success rate, the National Institute on Money in Politics reports. NMID’s review of campaign records supports the notion that special interest groups bolster incumbent reelection prospects. Fifty seven percent of incumbent money in contested New Mexico House races comes from corporations or political action committees, on average. Only 14 percent of their challengers’ money comes from such sources. Understanding who is funding incumbents can often clarify the choices presented to voters. At the same time, voters may not find easy answers. Giving doesn’t necessarily track with ideology or political party, and not all incumbents are equal in the eyes of special interest contributors. They pick and choose based on strategic interests, write Hall and Fouirnaies. In a recent article, the two show that such groups direct their money to incumbents who have influence through powerful committees or who determine the composition of committees that vet bills before they can ever become law. New Mexico campaign reports bolster this conclusion as well. Of the 34 contested state House races with incumbents, the two candidates who’ve attracted the most money are incumbents in the heated District 41 and 46 races in northern New Mexico, Democrats Debbie Rodella and Carl Trujillo. Their opponents, Susan Herrera and Andrea Romero, have amassed respectable amounts themselves, mainly from individuals in their districts, but still lag far behind the two incumbents. Rodella’s and Trujillo’s legislative future, along with two other incumbents, Democrats Bealquin “Bill” Gomez and Patricia Roybal Caballero, will most likely be settled in the primary election, as they don’t have general election opponents (NMID categorized for this article campaigns with independent or Libertarian candidates as unsettled until the general). Looking at just those four races, special interest groups support all of the incumbents, but at varying levels. Rodella, the longest serving legislator in the House with the retirement of Nick Salazar, chairs the Business and Industry committee, a plainly stated description of the type of legislation the panel is likely to hear every legislative session. Trujillo sits on that committee and also serves as vice-chair of the Taxation and Revenue committee, a committee that hears legislation seeking to raise or cut taxes. Gomez sits on the Business and Industry committee and chairs the Agriculture committee. Both Rodella and Trujillo have garnered impressive support in total dollars from corporations, registered lobbyists and PACs. These sources provide $79,000, or 87 percent, of Rodella’s $90,000 campaign fund. Significant groupings are oil companies and registered lobbyists, but her industry support is wide-ranging, from banks and pharmaceutical companies to restaurants and taxidermists. 2500 03/27/2018 Mack Energy Corp.
2500 12/27/2017 Occidental Petroleum Corp.
2500 11/29/2017 Conoco Phillips Co.
1500 12/27/2017 Marathon Oil Co.
1500 10/02/2017 Premier Distributing Co.
1000 11/15/2017 Concho Resources Inc.
1000 10/02/2017 Consumer Lending Alliance, Inc.
500 12/27/2017 Exxon Mobil Corp.
500 11/14/2017 Altria Client Svcs. Inc.
500 10/23/2017 Lovelace Health Systems, Inc.
500 10/02/2017 NM Horsemen's Assoc. 500 12/01/2016 Premier Distributing Co.
450 11/07/2017 Allstate Insurance Co.
302.4 09/22/2017 Premier Distributing Co.
250 10/02/2017 Shoats & Weaks, Inc.
250 10/02/2017 Miller Engineers, Inc.
200 10/23/2017 NM Gas Co.
Special interest groups have given more to Trujillo’s campaign than most other incumbents facing challengers in 2018, providing almost $60,000, or 48 percent, of his $122,000 campaign account. Similar to Rodella, Trujillo has strong support from oil companies and registered lobbyists. He also has significant support from telecommunications companies. Notably given the size of his campaign fund, about half of Trujillo’s cash comes from individuals. 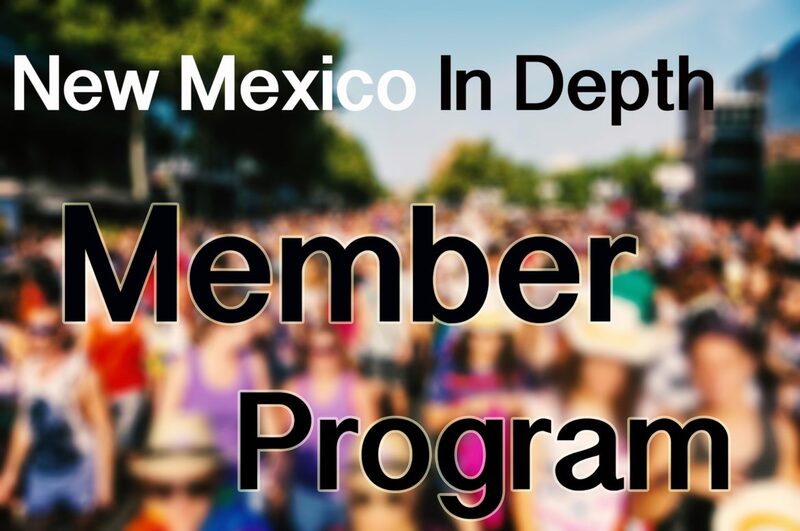 500 12/15/2017 New Mexico Bankers Assoc. 250 10/23/2017 New Mexico Manufactured Housing Assoc. 250 08/04/2017 Merck Sharp & Dohme Corp.
250 06/14/2017 Highway Supply Inc.
200 05/24/2017 Borrego Construction Inc.
100 04/26/2018 Kiit Company Inc.
10 05/05/2018 Arsenio Trujillo Jr.
Gomez and the one other incumbent without a general election challenger, Democrat Patricia Roybal Caballero, show significant special interest support but have raised much less in total funds than Rodella and Trujillo. Gomez chairs the Agriculture committee and is a member of Business and Industry. Of the almost $20,000 he’s raised, 81 percent comes from special interest groups. Perhaps predictably, he has several significant contributions from agriculture-related companies, but otherwise his special interest support cuts across industry sectors, with a nexus of Las Cruces area companies and PACs. Roybal Caballero doesn’t wield the same power on committees generally important to industry groups. But she is vice-chair of the Consumer and Public Affairs committee, and is a member of Taxation and Revenue. She’s raised $11,000, with a little more than $8,000, or 59 percent, coming from special interests. Notably, most of that comes from a group of Pueblo tribes, at $5,000. 500 04/19/2018 Santa Clara Development Corp.
500 04/12/2018 Laguna Development Corp-Political Government Rel. 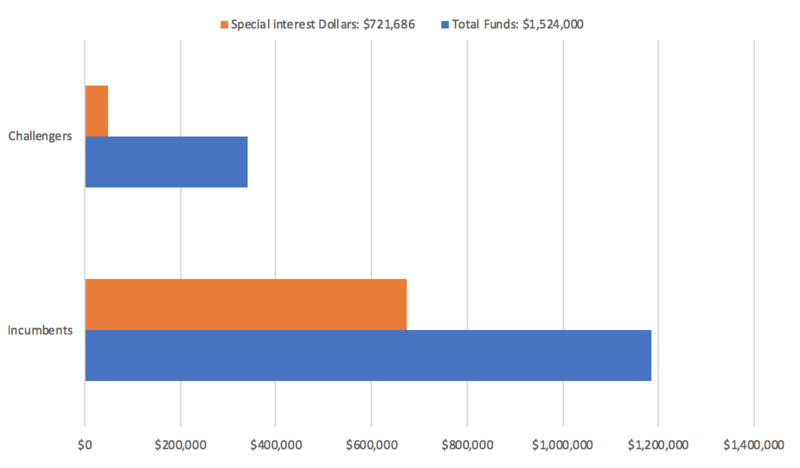 Trujillo and Rodella’s challengers in those charged northern New Mexico races have raised more than the average campaign fund, even when looking at just incumbent accounts. But they lag far behind their opponents in special interest support. Susan Herrera, former CEO of the Los Alamos National Laboratory Foundation, has raised almost $47,000 in her bid to unseat Rodella in District 41. Only four percent of Herrera’s funds come from companies or special interest groups. Most notably is a large contribution from Enchantment PAC, a New Mexico-based progressive political action group. Challenging Carl Trujillo in District 46 is Andrea Romero, former executive director of the Regional Coalition of LANL Communities and a small farmer. Romero has raised $42,000, with 26 percent coming from special interests. Most notably, Romero has raised more than $8,000 from Pueblos, most of them in the district she is seeking to represent. Down south, Raymundo Lara is challenging Gomez in District 34. Lara, a program coordinator for Gadsen Independent School District, has raised $5,200. One company, Environmental/Waste Connections, provides 39 percent of that. 2000 04/24/2018 Enviromental/Waste Connections US, Inc.
And in Albuquerque, two challengers are seeking the District 13 seat. One, Damion Cruzz, has yet to raise funds. But Robert Atencio has slightly outpaced the incumbent, Roybal Caballero. Atencio, director of stadium operations for the Albuquerque Isotopes, has raised almost $11,500. Twenty one percent comes from special interests, including two beverage companies. Incumbents in four state House races that will likely be decided in next week’s primary show significant special interest support in Thursday’s final campaign reports, which reflect their contributions for most of May. If money tells anything about a political race, the reports also show two of the incumbents are being given a solid run for their seats.